Haiti: Where is the Medical supplies for Haiti? I have been concerned for some time about how poorly the people of Haiti are being treated. I have been wondering for sometime regarding how supplies are being distributed.I'm particularly concerned about how Haitians are dying at a hospital for lack of supplies. "I candidly wonder if this earthquake happened in Canada or England would the United States take so long to get supplies to them?" Like me, a number of news outlets are finally beginning to ask, 'Is America's Haiti Response: Worse than Katrina?" 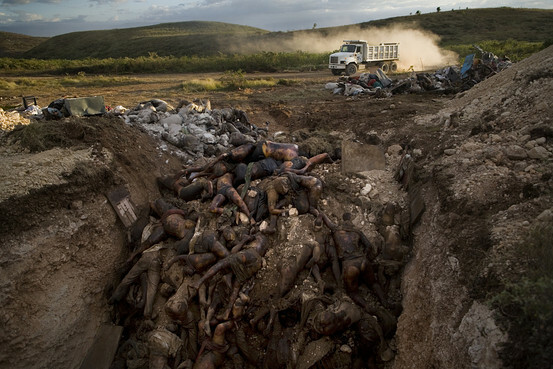 Most of the victims of Haiti's earthquake were buried in mass burial sites such as this one in Titanyen. I have been saying for the past week that America could be doing better and could be doing more in Haiti. Why is it that other countries have their act together but America does not have it's act together? But guess what, you don't believe me. But then again,pictures say a thousand words. President Obama is now trying to be a populist after giving away billions of dollars of tax payer money to wall street and banks. Now the president is trying to act like a populist rather than suffer from, the anti-Wall Street, anti-establishment mood sweeping the country. Angry voters are turning against him and are sick of industry bailouts and special-interest deal making. Candidly I believe Barack Obama is only showing a fake populism. I wonder if his "new fake populism" save his health care plan? Probably not! More to come on this issue. AAPP: Damn, another nominee gone. What is going on here? This guy, erroll Southers appeared to be highly qualified. more qualified than some of the bigoted Senators on Capitol Hill. It's too bad that President Obama keeps letting the bigots get the best of black men who may not be the "light skin negroes" that are acceptable by some in the United States Senate. Obama administration nominees or members who split, quit, withdrew, or were let go. AAPP says: Newspapers, websites and bloggers on the left and right throughout America are covering this issue head-on. My hometown newspaper The Boston Globe captures it all. Voters are angy! After one year of being in office Barack Obama believes he is doing a great job giving himself a B+, but with voter anxiety and resentment, building for months in a troubled economy, as Brian Mooney at the Boston Globe wrote, Massachusetts voters exploded like a match on dry kindling in the final days of the special election for US Senate. While some are saying the final vote in Massachusetts was a vote against Obama's health care efforts,I believe that it was frustration with the status quo that fueled emotions and the big turnout. 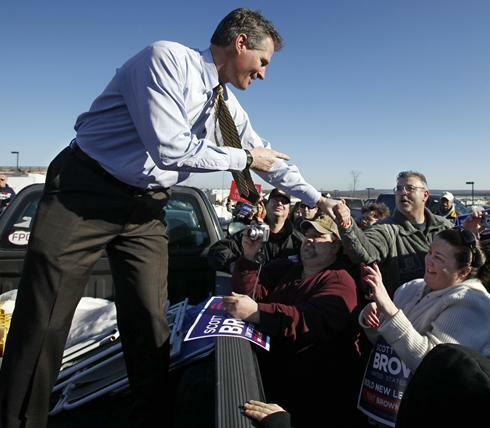 As reported by the Boston Globe, scores of interviews at multiple polling places, Republicans, independents, and even some Democrats said frustration over health reform and anger with Congress had motivated them to vote for Scott Brown. President Barack Obama needs to begin to understand and take note of. As Jenna Russell of the Boston Globe noted, "Ted Kennedy’s hometown did not look or sound like a place deeply attached to the senator’s liberal legacy." While Democrats ask what went wrong with Kennedy’s seat, It's clear to this Bostonian, African American Political Pundit, that President Obama and the Democrats suffered a major blow with Martha Coakley's loss in Massachusetts. Yes, as reported by The Huffington Post,The blame game is fully underway. A top pollster to Democratic Senate candidate Martha Coakley told HuffPost on Tuesday that the White House, in attempting to blame the Coakley campaign for a potential defeat today in Massachusetts, underestimates the wave of populist fury among Massachusetts voters. AAPP: Speaking of blame, The new Chairman of the DNC was not watching the ball and probably should be fired! Barack Obama and his handlers seem to be disconnected with reality. Unemployment remains high (ten per cent) and many white working class voters are disenchanted with a President Obama because he is black, and other foolish reasons. You see, the white working class, (many who may have been color aroused) voters in Massachusetts sent a loud, bigoted and clear message to the Obama administration. "Republicans, independents, and even some Democrats are concerned that President Obama and the Democrats are giving away the store to the banks, and not addressing the employment status of millions of Americans. With the President refusing to develop a stimulus plan for "main street America" including the places with the highest unemployment (black neighborhoods) the future is beginning to look pretty bad for the Democratic Party. America voted for change, not Congress taking from the poor and middle class to give to the rich (bankers). It would be wise for president Obama and the democrats in Congress to listen to the voices of anger towards the status quo, and pass a real jobs bill, and re-think some of the Health care bill. Otherwise we just may see Birthers, Teabaggers and other wacko's running the Congress." People walk along a debris-covered street in Port-au-Prince January 17, 2010. World leaders have pledged massive assistance to rebuild Haiti after the earthquake killed as many as 200,000 people, but five days into the crisis aid distribution was still random, chaotic and minimal. "It's a matter of life and death for over 3.5 million black folks." America! Drop the food, Medical Supplies, and water down to the people, before they all die! I have been asking if America doing enough? I have been saying for the past three days that this relief effort is turning into an international disgrace. Lord only knows why President Obama has engaged former Presidents George W. Bush and Bill Clinton, who both did more to create much of the problems in Haiti while they were Presidents. "I don't get with George W. Bush of all people, is back at the White House coordinating anything for Haitians. It's a national disgrace." U.S. officials on Friday acknowledged the limits of their initial relief efforts, and promised to speed delivery of relief in the next few days. Whatever! Hunger drove many to swarm places where food was being given out. Reports of isolated looting and violence intensified as night approached, and there were reports of Haitians streaming out of the capital. Still, as the NY Times reports, recovery and aid efforts were widening. And even the distribution problems in the country stemmed in part from good intentions, aid officials said: Countries around the world were responding to Haiti’s call for help as never before. And they are flooding the country with supplies and relief workers that its collapsed infrastructure and nonfunctioning government are in no position to handle. But with Haitian officials relying so heavily on the United States, the United Nations and many different aid groups, coordination was posing a critical challenge. An airport hobbled by only one runway, a ruined port whose main pier splintered into the ocean, roads blocked by rubble, widespread fuel shortages and a lack of drivers to move the aid into the city are compounding the problems. AAPP says, it's great to know that the World Food Program has finally been able to land flights of food, medicine and water on Saturday, after failing on Tuesdy, Wednesday,Thursday and Friday. AAPP: says "When will the United States get their coordination priority of feeding people in sync. I would like to know, I'm sure the 3.5million Haitans affected would like to know as well. The world is watching the Commander and Chief now more than ever... It's a matter of life and death for over 3.5 million black folks." 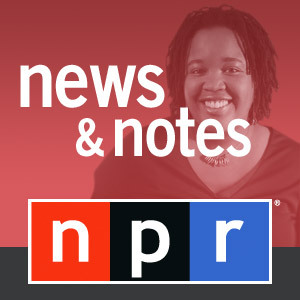 You can listen to my opinions on this and other political issues on my blogtalkradio program.